Headsets offer a transparent display overlying the real background. Such a system was used by a “remote” plumber to advise a customer with a leak. But some industrial applications are hampered by limited field of view and lack of overlay accuracy. A major advantage is hands-free working, with useful information in the wearer’s field of vision. 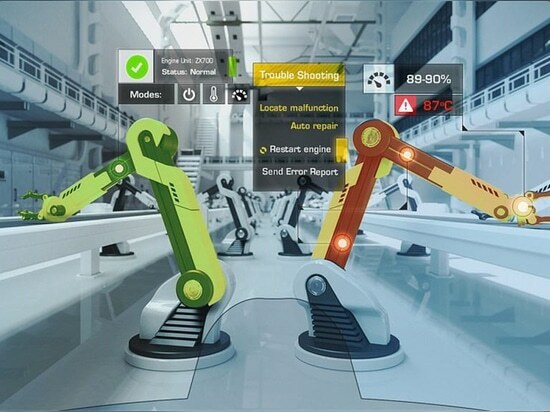 Volkswagen has used AR headsets to train engineers, and aircraft giant Boeing found that assembly trainees using AR-animated instructions were 30% faster and 90% more accurate than counterparts using paper manuals.